A few months ago, I posted a blog post about the types of friends in this world, as I see it. Recently, the issue of friends has once again been weighing on mind for various reaason. Now, when I posted this originally in Feburary, there were some unforeseen repercussions. I know that I very well risk repercussions again after this post, I think this is important enough to repost. I ask that as you read this, please think not about your friends, but yourself, and the type of friend you are. 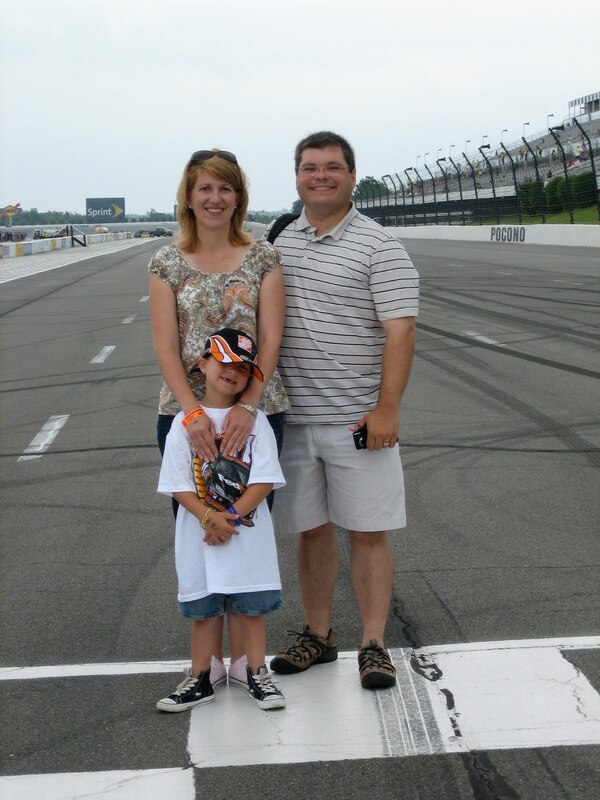 This past weekend, the family and I went to our first NASCAR race. Having never been to a race, I didn't really know what to expect. Well, I can easily and honestly say- it was one of the best weekends I've ever had. I think it's the only experience I've had that even comes close to the excellence of a Disney vacation. What made the weekend so great was the way that the NASCAR crews and employees interacted with the fans- specifically my son. When we arrived at our hotel on Friday night, we immediately discovered (to my squeals of delight) that several crews were also staying at the hotel. 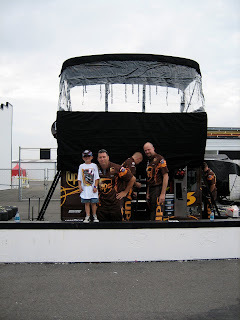 I was able to meet one of the Crew Chiefs that I follow on Twitter, and he was so nice to both me and Matthew. When we went down to breakfast on Saturday morning, the entire area was filled with crew members- our little table of 3 was the only non-crew table. Matthew was in HEAVEN! After we arrived at the track, we had passes that allowed us to walk around the garage area- well, see part of the garage area behind a fence. Several crew members (thank you #6 and #12 cars) came over and gave my son lug nuts. They became his most treasured possession. Sunday morning continued the Swag fest for Matthew. At breakfast that morning, we saw a member of the Earnhardt-Ganassi Racing team, who came up to Matthew and asked him if he liked matchbox cars. He came back with two Limited Edition Matchbox Cars for Matthew. 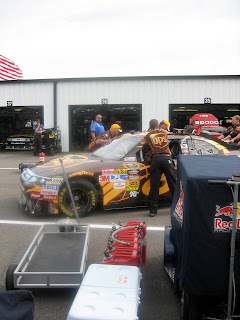 We arrived at the track and started walking along pit road (our passes allowed us onto pit road Sunday morning) as crew members we setting up the pit boxes. All the crew members were so nice- they answered questions that asked them, and never acted as if we were imposing. Of course, they recognized who the most important person in the family was- the 6 year old! Several crew members stopped and took pictures with Matthew, and also gave him more lug nuts! Some of them (again, kudos to the #6) put him up on the wall in their pits for pictures. But the best was yet to come! Matthew started out the morning wearing his Denny Hamlin #11 t-shirt and his Lowe's #48 hat. He went to the #20 Home Depot (Joey Logano) pit box and was seen by one of the pit crew. The pit crew immediately commented on Matthew's hat, and told him it was not appropriate for Matthew to be wearing that hat. The crew guy told Matthew to take off his #48 hat and give it to him. Matthew did, looking slightly confused. Well, the pit guy took the hat (as in NEVER gave it back!) 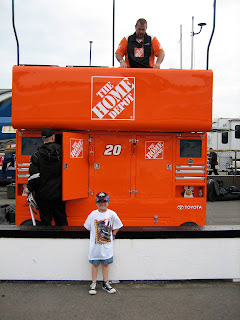 and came back from around the pit box with a signed Joey Logano #20 Home Depot hat. Yes- an autographed hat! I was floored, as was Matthew. Of course, after this, we went back over to the garage, where Matthew saw his new friend in the #6 stall, who immediately recognized Matthew and presented him with a hat from the #6 UPS car. 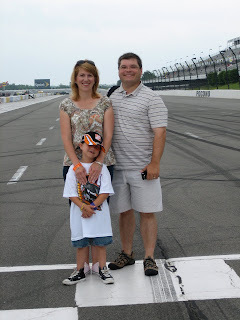 Yes- there was a race, and Matthew was excited that Denny Hamlin won... But what I will always remember about the weekend was how the crew members and everyone at the race really made the difference and made it THE perfect weekend. Anyone that knows me will tell you that I am a very planned person. I have the big "Mommy" calendar on the fridge and I know what I am doing when. Not that I'm not spontaneous, but I don't usually do big things spur-of-the-moment. Well, over Memorial Day weekend, the family and I did something spontaneous- and it was great! 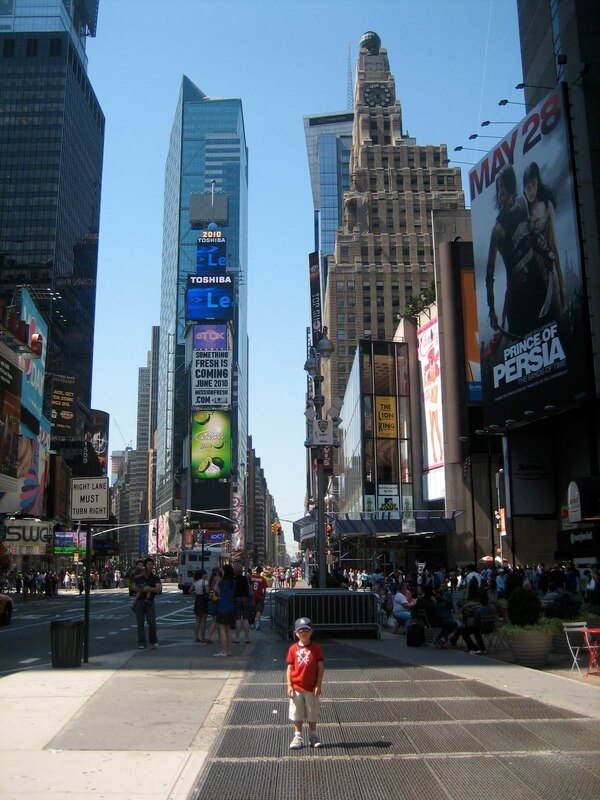 Friday night, we booked a two night stay in NYC for Saturday and Sunday nights. We had no plans at the time. All I knew is that I wanted to see Central Park. 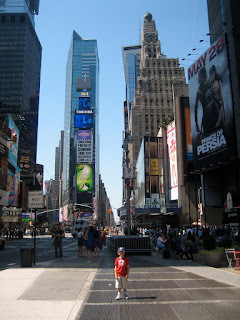 Other than that, the plan was just to walk around NYC. 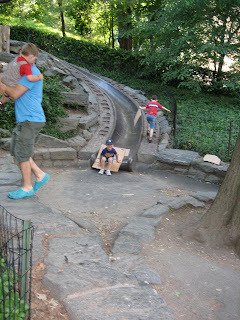 Well, we got to see quite a bit of Central Park on Sunday. 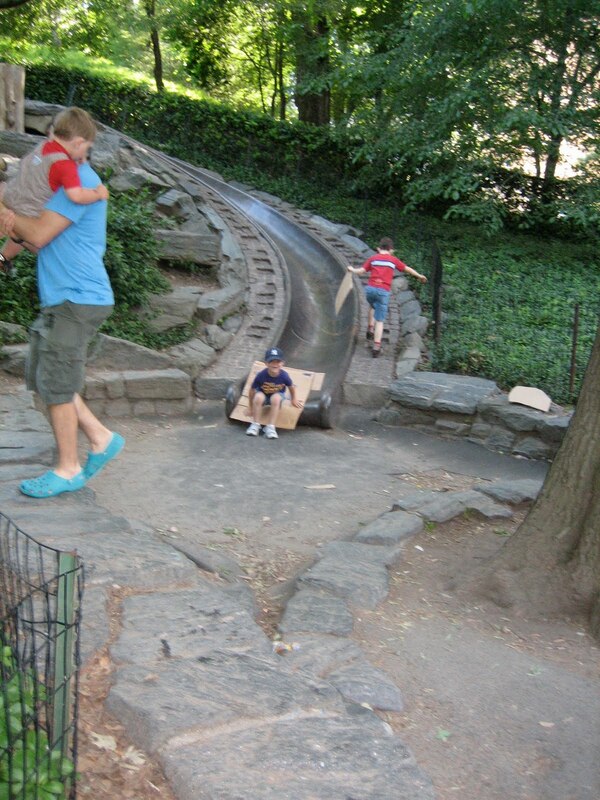 We discovered a great little playground there that had a wonderful stone slide. We explored the zoo. We rode the carousel. 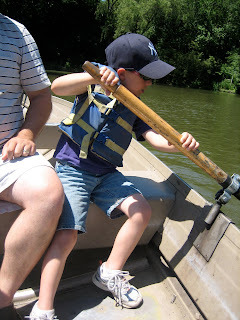 We went rowing on the lake. We played on the 3 acre playground. Then, Sunday night, we met a Twitter friend (@JimGarth) and his family for dinner. They rearranged some of their plans to meet us in NYC and introduced us to a wonderful pizza place called John's Pizzeria. Over all, I wouldn't change one single thing about the weekend. It was the perfect weekend.